All of us have some favorite recipes, those with which family and friends associate you with and the ones that you have perfected over a time period. 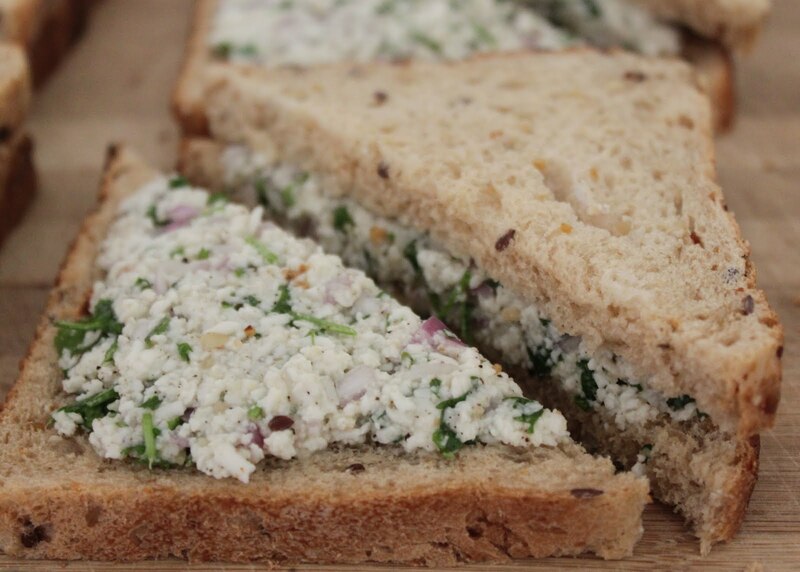 I love this one, especially because these sandwiches could be served anytime: at breakfast, as snacks, could be carried for a picnic or while travelling; the best thing still – they are easy to make, taste so fresh and are low on calories!! So here goes one of my favorite recipes, and I urge you all to try it because you’ll love it for sure, just like so many of my other friends do. I will vouch for this one..it is really tasty and easy to make and healthy!! I tried it at home after Amit insisted that I try it…so he sacrificed a bit of his low cal breakfast!! The simple instructions and the good picture of the end product does it for me. Great food is an art, and now we know it. Hi, grt recipe. You can even grill these sandwiches. I even add finely chopped capsicum to the mix. Thanks Namita, yes I grill these sandwiches sometime but prefer them with untoasted fresh bread. I am sure capsicum adds crunchiness to the sandwiches, will try this for sure…thanks for the idea.